A new book on castles by Richard Platt seems such an appealing prospect, focusing as it does on Crac des Chevaliers, that most magnificent of all the Crusader castles. 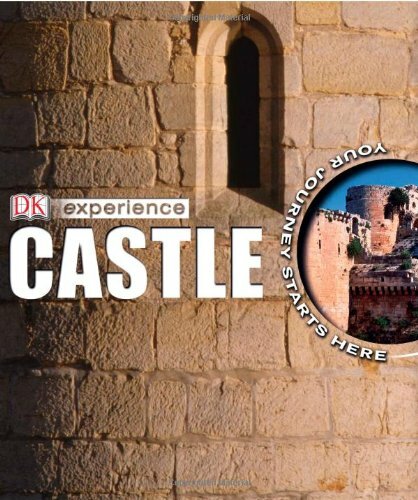 Threading through the book is the story of the siege of the castle in 1271, when the Hospitallers were defeated and the castle was returned to the Muslim Sultan Baybars. Within this structure we learn of monastic orders and siege weapons, of building methods and the armoury. Each page is dense with text boxes dropped on to the artwork, with glossary words highlighted and explained in a bar running along the bottom. Much of the artwork is digital imagery, with all the bloodlessness of an arcade game. Most scenes are also (no doubt authentically) gloomy, one dark chamber giving way to another, and having a cumulatively depressing effect. The fold-out poster is so drear that it was politely declined by the 10-year-old castle enthusiast to whom it was offered. It comes as a relief then to turn to the traditional DK white background spreads that intersperse these scenes, even if the photos of re-enactment knights and archers look familiar from the ‘Eyewitness’ archive. There is plenty of interesting information here, but it is hard work to ferret it out from the leaden artwork and design.